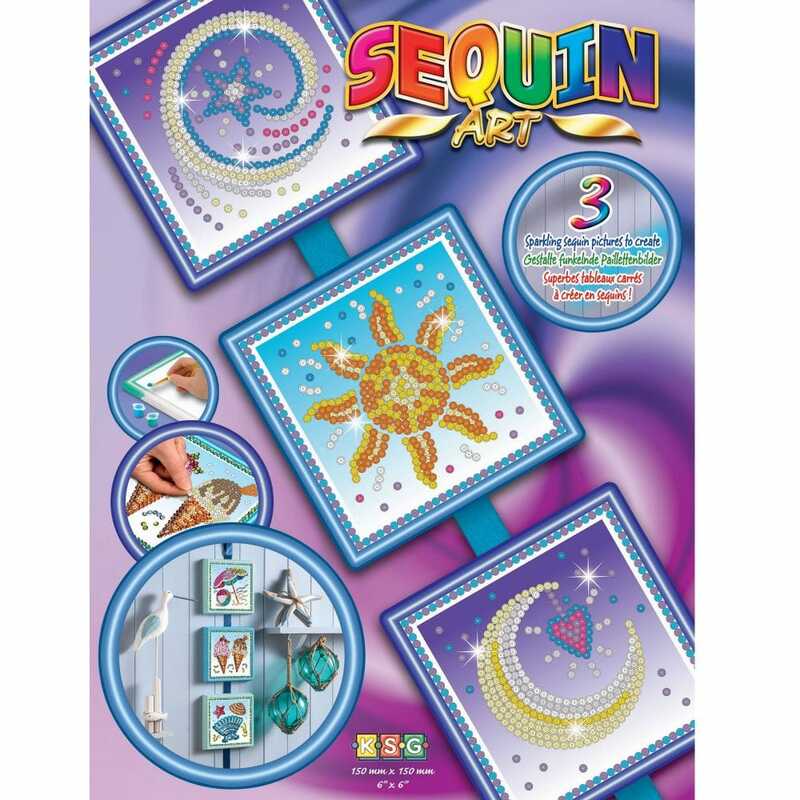 Create a sparkling trio of sequin art pictures sparkling star, sun and moon with coloured paint for the frames. Each picture measures 150cm x 150cm (6" x 6") attach the colourful ribbon to finish off this stylish sequin art kit to make great decorations in any room. Contents: 3 framed polystyrene bases, 3 coloured pictures, coloured sequins, pins, paints, brush, ribbon and instructions.